YANGDA YR16S is a professional 16-channel radio transmitting and receiving system. 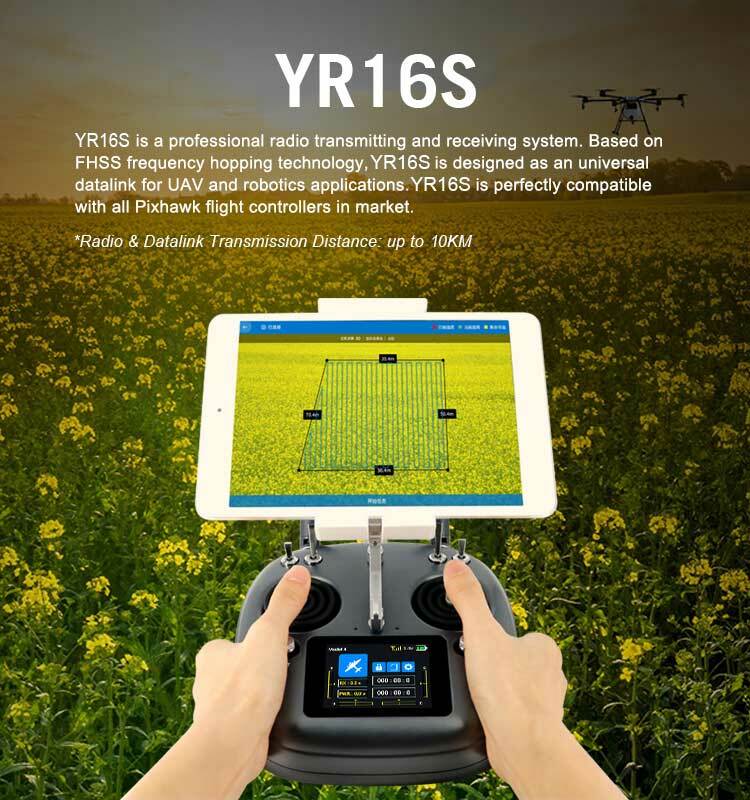 Based on FHSS frequency hopping technology, YR16S is designed as an universal datalink for UAV and robotics applications. 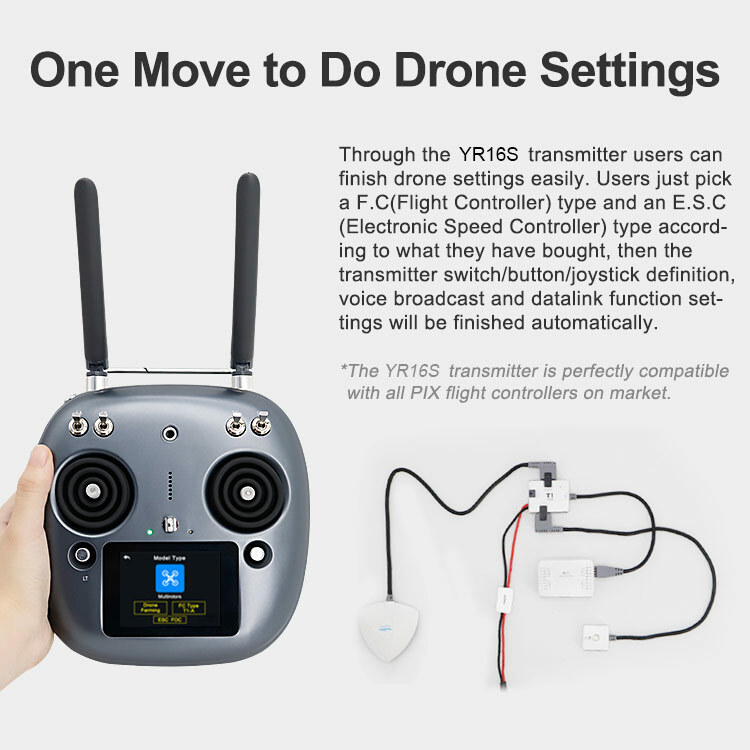 Furthermore, YR16S is perfectly compatible with all Pixhawk flight controllers in the market. 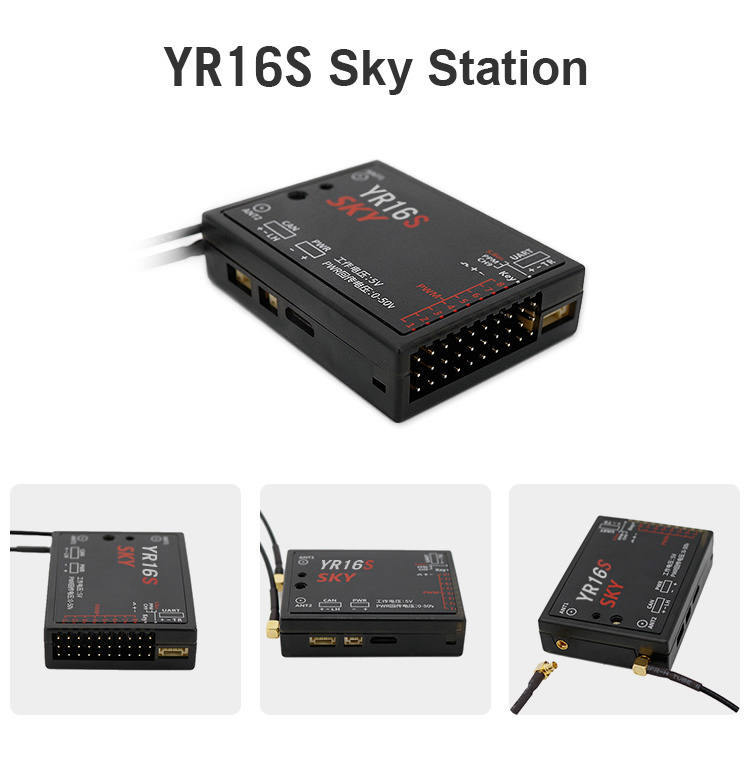 YR16S radio controller comes with built-in radiolink and datalink, and the standard range of datalink and radiolink is 10KM. YR16S features Bluetooth function which will enable you to see or set the parameters on your cellphone. 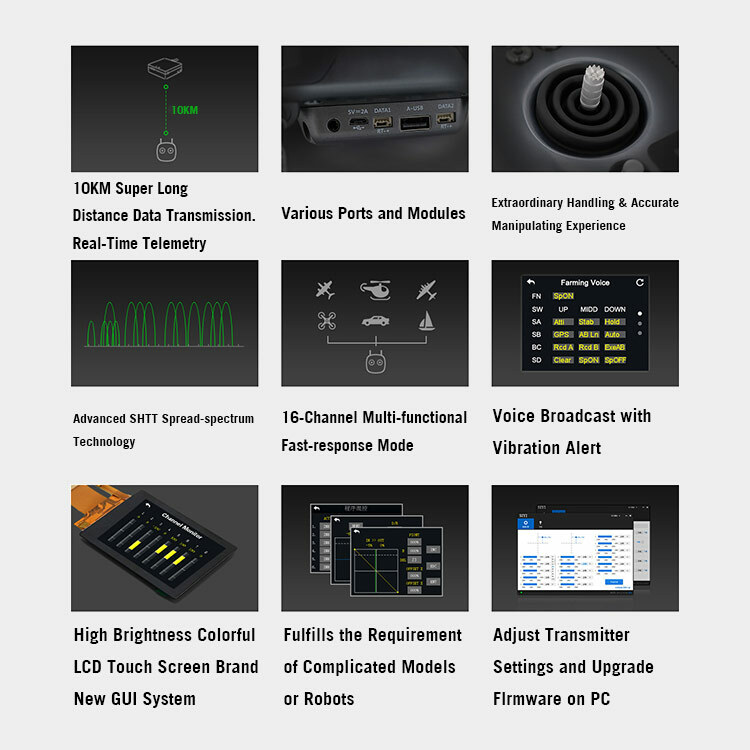 Furthermore, you are able to connect the radio controller with PC through one USB cable, which means you can adjust its parameters on your PC, very convenient. The YR16S RC controller has a built-in battery, the endurance time is 10 hours once fully charged. The radio controller can be charged through USB cable. 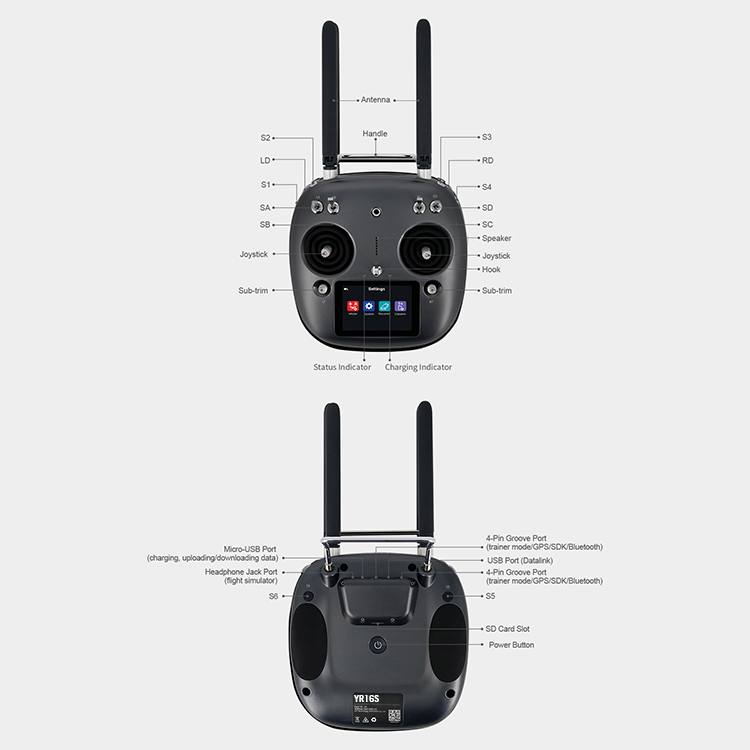 YR16S can be used to control various aircraft, like multirotors, fixed-wing, and helicopter.